For the last one year Shrikanth has been suffering from a severe cancer called Acute Lymphoblastic Leukaemia. It is a form of cancer that affects the bone marrow and can become very severe if not treated. 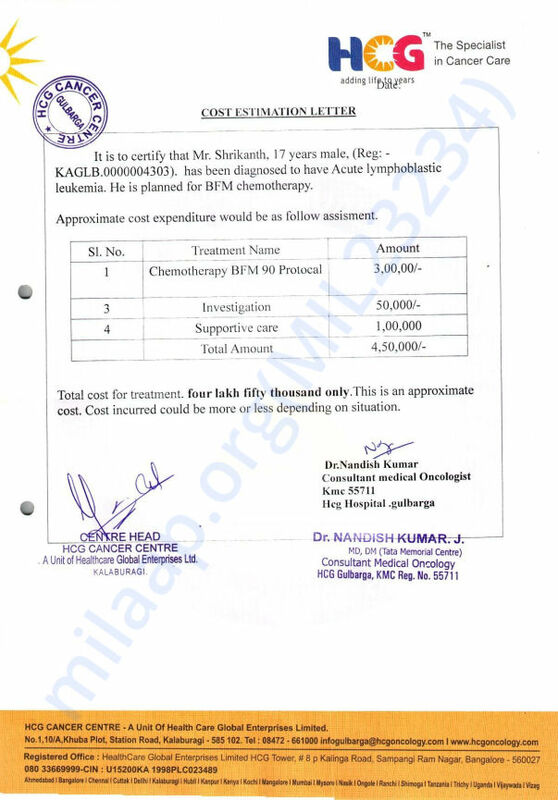 Shrikanth urgently needs to start chemotherapy in order to survive and the cost of the treatment is approximately 4 lakh Rs. Shrikanth's father, Baswaraj Pawar, does not have the funds to pay for his treatment and needs our help. 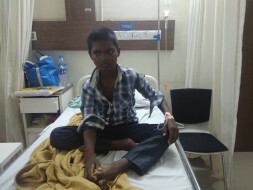 Your contribution can save Shrikanth and give him the treatment he deserves.